Keeping in touch with friends and family both in Egypt and abroad is imporant. We give you a quick overview of what you need to know to get online at home and on the go. 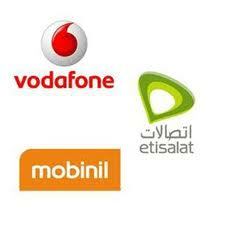 There are three mobile phone networks operating in Egypt. Mobinil, Vodafone and Etisalat. Pay as you go SIM cards can be bought from any of these operators. The price is approximately 20 EGP per SIM. Purchasers must provide official ID at purchase. A passport is preferred. 3G, Blackberry and data services are available at approximately 100 EGP per month. Top up credit can be purchased in the form of scratch cards available from supermarkets, road side kiosks or other venues. Payment can also be made online using a credit card but most operators will only accept Egyptian bank cards for internet transactions. The communication infrastructure has improved in recent years. Telephone networks are generally well maintained. A major step forward has been the introduction of privately operated pay phones on streets. These are operated using a pre paid card system. Cards are available in different denominations and can be purchased from most supermarkets or road side kiosks. Purple telephone cabins labeled Ringo belong to NileTel. Yellow and green ones belong to MenaTel. A minimum of 20 LE card is recommended for making international calls. Government coin operated phone booths are also available but many are consistently out of service. 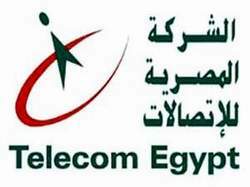 Currently, there is only one company in charge of land lines in Egypt – Telecom Egypt. If internet access is important to you – check with your landlord that your phone line is compatible prior to signing your lease. Also, if international dialing is required then also check with your landlord to ensure this service is activated. TOP TIP: You can check your phone bill at anytime live on the Egypt Telecom website. It offers both an English and Arabic version. Simply punch in your number to view your charges. Fast and efficient internet access is easily available in Cairo. A landline telephone must be installed to access the services. Expat Cairo recommends www.tedata.net and www.linkdsl.com as home and office ISP’s speed and service. Both companies offer online payment facilities using a credit card. To connect internet services please contact one of the companies listed. The phone line must be transferred to them for internet use. TOP TIP: If previous tenants have used a different internet service provider this can take up to 10 days to process. Ask your landlord for this information. Many find it preferable to stay with the service already installed in the property. Mobile internet options are also available and a USB modem can be purchased from any of the mobile phone service providers. The approximate cost of this at the time of writing is 99 EGP per modem. Pay as you go and pre-pay options are available. Prices will vary depending on your chosen plan relating to usage and download capacity. TOP TIP: Something to note is that some mobile phone operators often block Skype, the online phone service. If Skype is important to you then a land line based ADSL is the only option. Wireless internet access is widely available all over Cairo. Most coffee shops and cafes will offer the service free of charge or for a minimal fee.